The leaders of India and Pakistan have agreed to restore calm on their de facto border in Kashmir after a spate of recent shootings in order to improve strained relations. 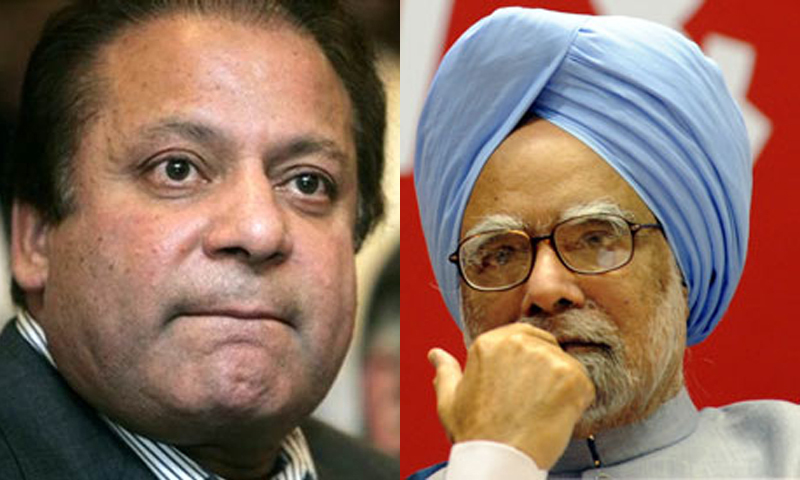 Indian Prime Minister Manmohan Singh and his Pakistani counterpart Nawaz Sharif reached the agreement during a landmark meeting on the sidelines of the 68th UN General Assembly on Sunday in New York. Sharif, who was ousted from power in a military coup in 1999 for his diplomatic overtures towards India, has advocated an end to historic tensions with India since he swept to power in May elections. The hour-long meeting came amid heightened tension between New Delhi and Islamabad over Kashmir, sparked by series of fatal clashes on the Line of Control (LoC) — the de facto border that divides the Himalayan region between India and Pakistan. The clashes killed at least eight soldiers from both countries in less than two months. Both leaders expressed a desire to improve relations between the nuclear-armed neighbours but agreed that “peace and tranquility across the LoC is a precondition,” Indian national security adviser Shivshankar Menon told reporters in New York. “We need to address the issues that we face today and then we hope to move it forward,” he added. “Both sides wish to see a better India-Pakistan relationship than we have today,” said Menon. Pakistani Secretary for Foreign Affairs Jalil Abbas Jilani said at a separate briefing to reporters in New York that the meeting set the stage for future cooperation between Islamabad and New Delhi. “The most significant aspect of the meeting was that the leaders expressed their commitment to … better relations between the two countries,” he stated. India and Pakistan, which have fought three wars — two over Kashmir — since they gained independence from Britain in 1947, often blame one another for sponsoring militancy on each other’s soil. New Delhi says Islamabad is funding militants in the Indian-administered Kashmir region while Pakistan claims India is behind insurgency in its Balochistan province. Kashmir lies at the heart of more than 65 years of hostility between India and Pakistan. Both countries claim the region in full, but each only has control over a section of the territory. Over the past two decades, the conflict in Kashmir has left over 47,000 people dead by the official count, although other sources say the death toll could be as high as 100,000. In their speeches to the UN General Assembly, Sharif and Singh said they wanted to improve relations between their countries. “I am committed to working for a peaceful and economically prosperous region. This is what our people want and this is what I have long aspired for,” he added. “Pakistan and India can prosper together, and the entire region would benefit from our cooperation. We stand ready to re-engage with India in a substantive and purposeful dialogue,” Sharif said. The Indian prime minister said on Saturday that he shared Sharif’s hopes for better ties but warned that Pakistan must take appropriate action against terrorism and should not allow militants to use its territory against India if Islamabad wants better relations with New Delhi. “For progress to be made, it is imperative that the territory of Pakistan and the areas under its control are not utilized for aiding or abetting terrorism,” Singh stated. Previous Previous post: Nothing more than a handshake?